Gardenvisit.com is most grateful to Marija Calden for help with adding new gardens updating Garden Finder entries for Germany. See for example: Karl-Foerster-Garten and Kloster Seligenstadt. 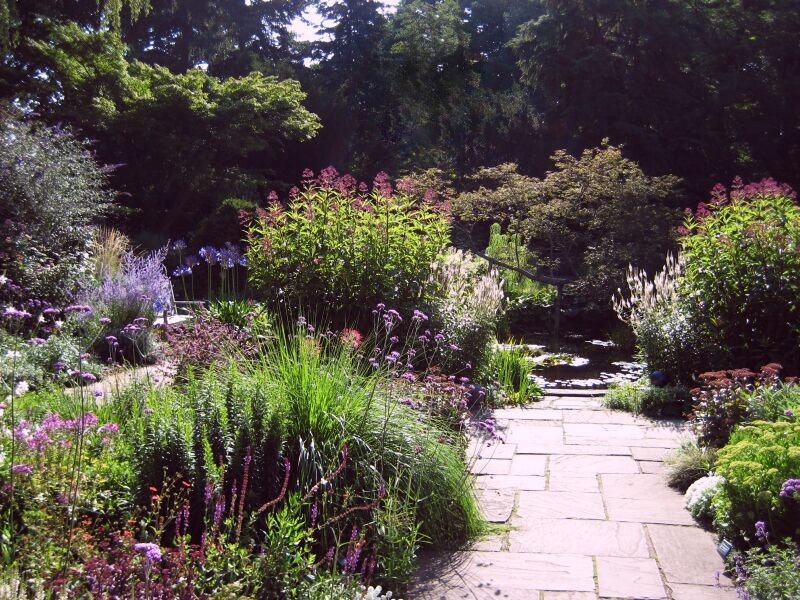 Marija’s help is particularly welcome because German gardens attract less international attention than they deserve and, for example, less attention than the gardens of Italy, France and England, resulting in fewer German garden tours. Yet no one can doubt the country’s deep love of nature in general and gardens in particular, nor the technical expertise of Germany’s landscape architecture profession. And the design quality of the best German gardens (eg Sans Souci, Herrenhausen, Whilhelmshoehe) is very high. So what’s the problem? My explanation is that too many German gardens are run by municipalities as public parks. As Jane Austen might have said “It is a truth universally acknowledged, that two old ladies can maintain a garden in better condition than a dozen youths with the latest equipment’. Love and knowledge are better tools than brawn or engines. Furthermore, a garden requires enclosure. If greenspace in towns is not fenced or walled it is not garden space. It is public open space. The example of Japan provides support for this explanation. Everyone knows of the matchless standard of care in Japanese Gardens. But what of Japanese public parks? Their management is slightly worse than in a typical industrial country: not as good as in most European countries and not even as good as in the public parks of Eastern China. A garden is a special kind of place. It always has been and it always should be – different. This entry was posted in garden history, Garden travel and tours, Garden Visiting on 26th February 2009 by Tom Turner. At last! We have published the updated World Garden Finder. The page has been re-deisgned and we have added some 1,500 new images since January 2009, bringing the total to over 5,000 images. The images come from photographic trips and other sources: we are particularly grateful to Karl Gercens for his enormous help with American gardens. Piet Oudolf once said that ‘America is not really a gardening country’ but Karl does much to prove him wrong. Every country needs to garden in its own way and Piet Oudolf would be on safer ground if he said that American gardens are different from North European gardens, much as the gardens of South Europe differ from those of North Europe. 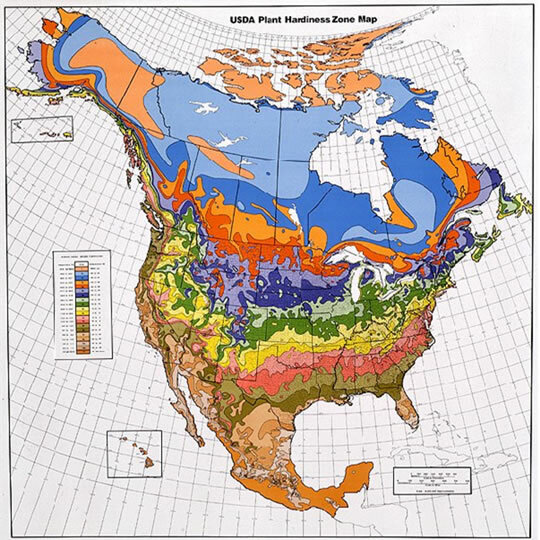 Two of the things which make American gardens different are the climates (as shown on the USDA Hardiness Zone Map) and the different social mores. In Europe, garden walls and fences are the norm. In America, it is considered an unfriendly gesture to put a fence round your front yard – despite the fact that ‘yard’ means ‘enclosure’. if your country is under-represented in the World Garden Finder, please contact us and advise what gardens should be included in the next update. This entry was posted in Garden Design on 19th February 2009 by Tom Turner. Having slagged off the design of their capital city, I am only too pleased to congratulate the Saudis on the design of a new Botanic Garden. It reminds me of a photograph from the Hubble Space Telescope – perhaps of a swirling galaxy. This is highly appropriate for a garden which looks back to the origins of life on earth and forward to a more sustainable future. Siteworks began in 2008 and the expected construction period is 3 years. The landscape architect and project team leader for the King Abdullah International Gardens was Nick Sweet of Barton Willimore. Some 150 hectares of the 160 ha site will be planted with indigenous species. They will be watered only by stormwater outlets and treated sewage effluent generated on site. All the power will be solar, all wastes will be recycled and 93% of the construction materials (by volume) will be obtained from the site (rock, stone, gravel, soil). Only electric vehicles charged from the solar array on site will be used for visitors. What more could one ask? I have every hope of it becoming that rarest of rare delights: an excellent work of landscape architecture. PS to King Abdullah: next time Saudi Arabia needs a New Town – make sure the design team is led by a landscape architect. You can expect the most favourable benefit: cost ratio for any project in your Kingdom’s recent history. 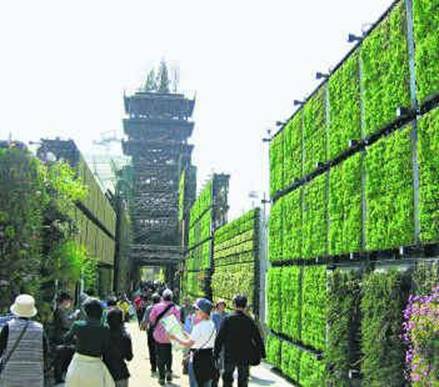 This entry was posted in Asian gardens and landscapes, context-sensitive design, Garden Design, Garden Visiting, Landscape Architecture, Public parks, Sustainable design on 17th February 2009 by Tom Turner. in light of the new information, i’ve reconfigured a possible layout. see what you reckon. i think redevelopment should take place on the east of the site to re establish the streetscape, and would like to place some kind of open courtyard to the north. This entry was posted in Garden Design, Public parks, Sustainable design, Urban Design on 16th February 2009 by Stefan. Charles Barry’s design for Trafalgar Square was inspired by the gardens he had seen in Italy and designed in England (including Shrubland Park and Trentham Gardens). In essence, Barry followed Repton’s theory that an important building, like the National Gallery, should be fronted by a terrace. The original idea for a Square in this position had come from from Humphry Repton’s partner (John Nash). A traffic island for 150 years, the Square was rescued by Normal Foster’s part-pedistrianization scheme of 2003. The point Fostor neglected is that garden squares should have flowers. My suggestion is to grow the flowers in pots and arrange them on the great sandstone slabs in front of the National Gallery. When the space is required for another purpose, the pots can be moved. If the authorities won’t permit a radical transformation, perhaps they would allow a Classical Vase to stand in front of the National Gallery. This entry was posted in Garden Design, Landscape Architecture, London urban design, Urban Design on 10th February 2009 by Tom Turner. all comments/criticisms welcome, by the way! This entry was posted in Garden Design on 5th February 2009 by Stefan. 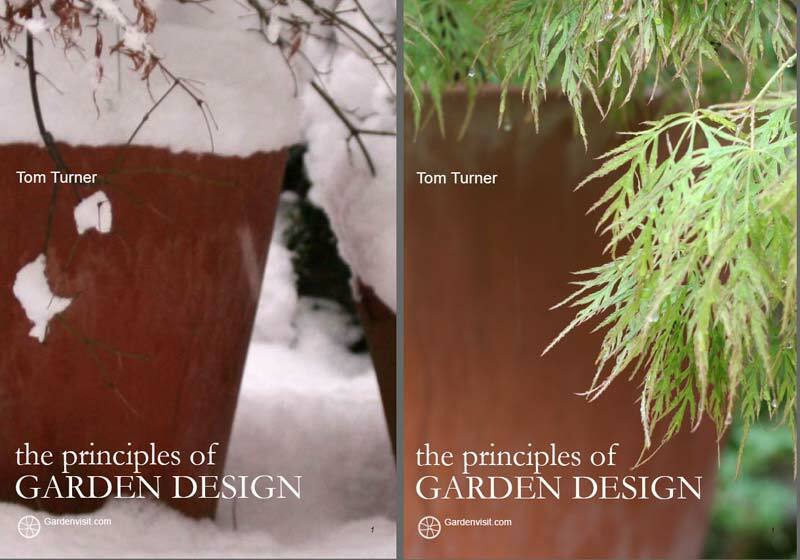 London has just had its heaviest fall of snow for 20 years, making me wonder about global warming and, as a natural contrarian, whether I should be preparing a Winter Edition of the Principles of Garden Design eBook. Amongst other things it would explain how to make ice fountains and how to include rich colours which harmonize with whites and greys. When frost damage becomes a serious problem we will also need to think about making more use of fiberglass. The first few items in our Online Garden Products Shop include some well-made fiberglass planters. Fiberglass was invented in 1938 and is much used for small boats, cars bodies, bows and arrows, etc. The components are glass fiber and resin. Compared to terracotta, the advantages of fiberglass are (1) high strength (2) moisture retention (2) 100% frost-resistance. Compared to lead, fiberglass is (1) lighter (2) safer. Fiberglass takes a range of finishes and when detailed as well as these planters can be difficult to distinguish from terracotta and lead. We are also pleased to offer modern designs which take advantage of the inherent qualities of, in garden history terms, an excellent new material. Since the planters are lightweight as well as strong they are very well suited to mail order. We would welcome suggestions for other items to include! This entry was posted in Garden Design on 3rd February 2009 by Tom Turner. It raises an interesting question. How far do we want go down the technology route and how far do we want to go in being smarter about how we do things? Perhaps there is a middle way between the two alternatives? How should designers respond to the twentyfirst century challenges of carbon trading and carbon sequestration? 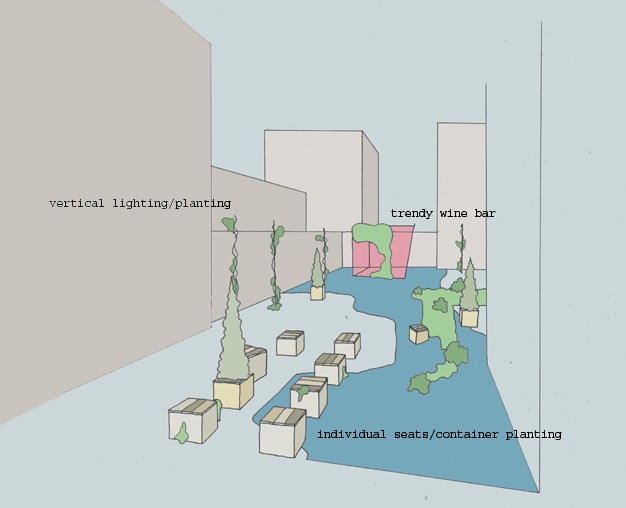 This entry was posted in Landscape Architecture, Sustainable design, Urban Design on 1st February 2009 by Christine.